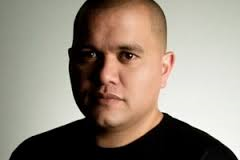 He is one of New Zealand’s pioneering figureheads in the world of hip hop, spearheading the global DJ game through his two decade strong career which has birthed an urban empire of mixtapes, artist management and radio and TV shows. DJ Sirvere’s hip hop game is as fly as his ever growing sneaker collection (he is an avid Air Jordan fan) and his name carries weight and deep rooted respect from New Zealand to Perth and beyond. Representing Auckland City, DJ Sirvere has been instrumental in the promotion of hip hop culture in Aotearoa and the creator behind one of the most successful official mixtape brands “Major Flavours” under his Universal Music label deal, which continues to grow in installments and follow ship. 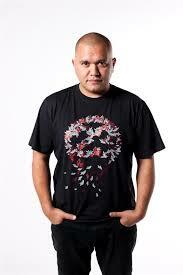 He is a multimedia powerhouse that encompasses a DJ career that has seen him playing an array of clubs and festivals from Auckland and beyond. A radio personality on the groundbreaking Mai FM has leveraged Sirvere’s stronghold in the urban community as a pioneer in the game, harnessing his 21 years on-air experience into a successful TV Presenter role on the ‘Holla Hour’ on New Zealand’s C4 channel. Dedicated to the education and promotion of local and global hip hop in another media foray, Sirvere again is at the helm, continually adding to his impressive resume and the knowledge banks of the new hip hop generation following in his footsteps. With DJ spirit running through his veins from a young age, his career on the decks started pretty much as soon as he could walk, inspired by his father’s impressive vinyl music collection and growing up in a home where music was key, Sirvere was always destined for great things. As he traverses in a career that has him wearing many hats as a DJ, T, Radio personality and magazine editor of his successful hip hop magazine Back2Basics, Sirvere takes it all in his stride. He is a one of the hardest working and respectfully recognized hip hop pioneers in New Zealand and along with this peers and artists alike, continue to put the spotlight on the greatness that comes out of the land of the long white cloud. Living a life as busy, disciplined, tiring at times yet richly rewarding, DJ Sirvere is highly favored in the eyes of the hip hop Gods, who continue to bless him with the strength, passion and foresight to maintain the longevity he has, along with the consistency and commitment to stay the innovator he has become. There’s always something to learn about a creative force like DJ Sirvere, who himself never stops learning, teaching, creating and evolving in this game called Hip Hop! You have been a DJ for over 2 decades now, cementing yourself as a firm favourite in the urban music industry in your native New Zealand and Australia as a pioneer Rnb / Hip Hop DJ. How has the journey been for you and how has it changed over the years? It’s been and up and down journey full of triumphs and disasters – but I’m a firm believer of living in the now – that’s all I can do. I treat every gig like it’s my last, from a 50 people bar gig in Bathurst on a dark windy night, to playing on a sunny summer’s day on the Hothouse stage at the Big Day Out to 5,000. I still get nervous, I still get a buzz off hyped crowds, and I still love working with artists and doing great live sets. Without that core enjoyment I most certainly wouldn’t be still doing this today. In fact, I’ve always said that the moment that I no longer enjoy being behind the decks – I’m out. That day hasn’t come yet and it doesn’t even feel close either. In fact I recently played in Christchurch on an extremely cold night (-3 degrees), and I mixed the ‘Up Down’ T-Pain accapella with Chris Brown’s ‘Loyal’ and when I dropped the beat, and the crowd went ‘OOHH’ – I still felt the same way I did the first time that happened many years ago. Can’t stop, won’t stop. So as far as changes go, I’ve seen vinyl and CDs come and go, DJs rise to sudden stardom and then fade away, and countless smiling faces in crowds – but that passion for playing good sets, having fun and passion for music has always underpinned what I do. As a DJ myself I have always looked towards the original pioneers like you when it came to calling on inspiration for my own career ….. Who would you say has been your inspiration during your career and why? I’ve been influenced by a lot of DJs in my time, but the most important is my father. Dad was a mobile DJ back in the days and I watched him read and rock crowds from a very young age. When I was a teenager he let me play some songs at a gig, and that short taste is all I needed. I can vividly remember my Father’s deft ability to play exactly the right song at the right time. On countless occasions I can recall him leaning over to me and saying ‘watch this’. He would drop a track, the crowd would go ‘OOHH’ and he would look at me and smile. As a 10-12 year old I was amazed at his skill of being able to read a crowd like that, and it certainly left an impression on me to this day. As I began to work in clubs and house parties, early influences were DJ Crucial from Mt. Eden, Mark Whanga who was the ultimate beat mixer, and internationally DJ Jazzy Jeff and Roc Raida. As time has gone by I’ve seen many DJs come and go, but it’s the ones who have a true passion for the music that have impressed me. It’s this quality I’ve seen in DJs like Manuel Bundy, DJ Raw, DJCXL, DJ Nino Brown, Greg Churchill and others that have kept them in the game and also impressed/influenced me. One huge influence was the team of Simon Grigg and Roger Perry. As I began my days as an underage clubber (you could get away with it back then) I would go to The Brat on Nelson Street in Auckland and watch the mighty Roger Perry smash the dance floor with multi-genre sets. He was the master, the ultimate floor controller – and with Simon endlessly supplying him the most up to date records – they were a team that fashioned club land in New Zealand for years. I’ll never forget those days, and I also remember the moment I first worked in Roger’s DJ booth at The Brat – I’ve never told him but I was so honoured and also so nervous I was practically vomiting moments before I went on. What are your thoughts on the current role of the DJ in today’s music industry? Taking into account the changes in technology and celebrity status, do you believe the DJ is still an integral part of the 4 elements of Hip Hop and why? I think that DJs still play that vital role of breaking new music – whether that be in clubs, online or on radio. As key influencers, there is a need for someone to champion music and artists, so that’s where it lies. There is a need for DJs to work dance floors with familiar tracks and favorites of course, but making things happen with new music is vital. The DJ is, and will always be the backbone of the elements – that will never change. You have gained a multitude of respect amongst your peers and fans alike for your live DJ sets at various clubs, music festivals and awards shows and industry events. In addition to which you have helped create, cultivate and spearhead some of the greatest radio and music TV shows in New Zealand over the years ….what would you say have been the strongest ingredient in the ongoing success of all of these various urban music ventures you have endorsed and what makes Hip Hop such a viable commodity to the New Zealand music community? The key is passion for the music and culture. Like any genre, people come and go, and in some ways that’s fine. No one should feel like they come into a culture/music genre and have to stay for life. It’s a lifestyle choice and people change. For me, it’s a burning desire for the music that can’t be extinguished. I know that’s very over the top, but it’s that simple. I can’t even really explain to you why hip hop and RnB are my passion – it just is – and I like that. It’s an intangible. It’s a feeling. With that passion inside me, as I have approached each venture that I’ve undertaken, I’ve known that my base is that desire – and I think it’s made it genuine and real – and people have engaged with that. Fakes don’t last, I’ve seen it countless times. What is it about the art of djing that has kept you in this game for as long as it has Phil? Has the art form changed due to technology such as Serato and USB ports etc. …..or has it enhanced the DJ’s capabilities even more? I think that with regard to the realms/avenues of hip hop, djing was the one thing I could actually do. Dance, MCing and art were a fail for me, but in me, I could feel that hip hop was the right fit. Behind the decks is comfortable for me now, and that’s part practice/experience, and part where I want to be. With regard to the new technology debate – I’ve always been firmly planted in the new tech camp. Nowadays I feel like when I’m using Serato I have my entire record collection at my disposal, as opposed to 80 odd records in a crate. Don’t get me wrong, I love both ways – those days of hauling around records were so much fun, but now I’m more equipped on so many levels. The fact is that I still use turntables and a mixer – so there is no faking what I’m doing in any shape or form. Those people that hold on to the vinyl only argument bore me. It’s 2014 and things have changed. Move with the times. I still collect and play vinyl though – that’s my passion. Your name has been integral in the development and success of your Major Flavours official licensed mixtape series. What was that process like for you and do you think that mixtapes are as relevant to hip hop today as they were say 10 years ago? The process of putting together an ‘official’ mixtape is one of the most painful experiences for any DJ – and I can’t believe I went through it 20+ times! It’s the business end of the industry that I don’t enjoy, but it’s an ends to a means. The actual mixing part was a real mission. You’d wait for weeks for the clearances on the tracks to come through, and then you’d have 4-7 days to put the mix together. I’ll openly admit that I’m a control freak, so I would spend so much time on the finer details that I would generally do 16-20 hour days in the studio going hard. It was important to me to have mixtapes of the highest possible caliber in the market, so I set the bar very high for myself. Later on they introduced countless rules around what I was allowed to do with the songs that pretty much took my creatively away, and that’s why I don’t really do official ones anymore. The mixtape has become less and less important with the advent of SoundCloud and other online listening sites. I think they still have their place, but it’s all gone back to that basic, live mixing element – which is the most important for me too – and separates the real from the fake too. You are still an active DJ on the local and national circuit spinning in clubs all around the country – what do you enjoy about life on the road as a tour DJ and what would you say are the distinct differences between djing in NZ clubs to Australian clubs? I still love touring for sure. Working different floors all across New Zealand and Australia is a challenge, and an absolute pleasure for me. I shudder to think how many gigs I’ve done in my time, but it’s what keeps me going. New places, new faces, new music, new artists – it’s all inspiring for me, and real fun too. Crowd wise I find Australians to be far happier when they are out than Kiwis. I have no idea why that is, but in my experience audiences on Australian soil are far more likely to get into it than back home in NZ. On the flipside, NZ radio means that the crowds are far more across new music than Australians – by about 3-6 months, so that dictates what I play in either country. Bottom line though, I still love being on the road and playing live – it’s part of who I am. 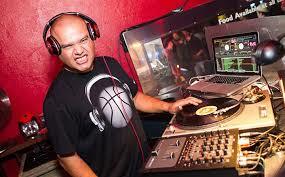 Something interesting or surprising you can share with us about DJ Sirvere? I’m a huge Metallica fan. I have a large record collection anyway, but the biggest part is my Metallica section with multiple worldwide pressings, box sets, singles and more. I’ve just always been a fan and that’s not changing anytime soon. I also collect comics and am a massive Iron Man fan. I have original first appearances from 1965 and pretty much everything you can think of since. It’s safe to say I don’t collect anything in halves, and am a hoarder. I also own 500+ pairs of Air Jordan sneakers. What keeps you focused, motivated and constantly inspired? The music. Without it DJs wouldn’t exist, there would be nothing to make us move, and life would cease to exist lol. On a more serious note, that’s the base of everything we do, so the core lifeline that music is keeps us all afloat, inspired, motivated and engaged. It’s really that important. That we are glorified jukeboxes. Good DJs spend a lifetime living and learning music, and it’s that passion that inspires them to take it up. From there, investment in equipment, and then hours, and days, and years building your database of music, then learning all the ins and outs of those songs, building themes, crates and sets – it goes on and on. I do recognize that there is a lot of overnight DJs that haven’t paid their proverbial dues, but you get that with anything – and you can’t let that get in the way. Solid DJs can help build the best nights of your life, and pivotal songs and tunes become memories that you carry forever. For instance I can remember being on the Big Day Out stage in Gold Coast and dropping Terror Squad’s ‘Lean Back’ and that feeling and roar from the crowd will be a memory that I will simply never forget. When I played Rihanna’s ‘We Found Love’ after midnight on New Year’s Eve at Magic City in Brisbane was another song/moment in time – and I’m sure it was for some of the people there. Its life memories attached to music that I value a lot – and DJs deliver those moments on the regular. What advice would you give to anyone wanting to become a DJ today? If music isn’t the base of the reason you want to become a DJ – don’t. Techniques, skills and set development can be taught – but passion for music can’t. Have that burning desire for music inside you, that’s the best start.